Don't expect Matthew Chandler to be in awe of the big stage when he hits the links at this week's Canada Games in Winnipeg. "He's really calm - you can never tell if he's playing really well or really bad - he controls his emotions really well," said Team Nova Scotia golf coach Jeff MacDonald. "I'm pretty even keeled," laughed Chandler. "I don't get too high or too low, so it's not something I have to think about a lot." However, that was put to the test at last month's Atlantic junior championships with a chance to qualify for nationals on the line. "In the opening round he made a 10 on a hole and still shot just five over par and wound up finishing fourth overall in the tournament to make the Canadian junior's," said MacDonald. "He's just not fazed by those sort of things. I thought that was really impressive." Much like his demeanour, Chandler's game on the course is steady. "I make a lot of pars," said the 18 year old. "This year my putting has been better than it ever has been, which is definitely a good thing, and I don't usually get into a lot of trouble. I'm not spectacular at any one thing, I just try to be consistent." Another thing he does consistently is win, including the provincial junior title two years ago at Bell Bay and numerous other tournaments. This season, Chandler had been playing well heading into the Canada Games competition from August 8 to 11 in Winnipeg, placing third at mens' amateur championships - including a 68 in the final round - and winning the Truro mens' invitational in addition to his fourth place finish at Atlantic's. "I'm feeling pretty good about my game right now." He said part of his recent success has to do with his improved putting, which he worked on it a lot over the winter, a time of the year he used to find challenging to deal with because he couldn't stand not being on the golf course. "I used to hit balls in the snow or have indoor putting matches, anything I could." 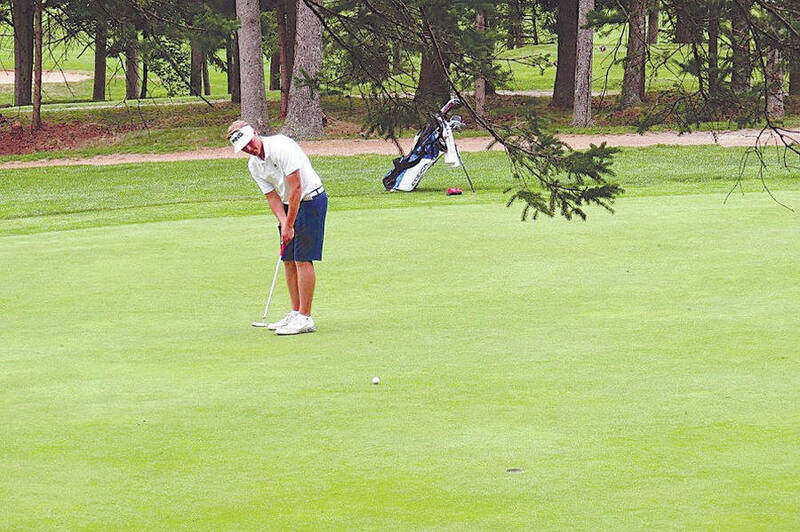 The Chester Golf Club member's love of the game runs in the family. His older sister, Allison, is a former Canada Games golfer and his younger brother, Mark, is also a competitive golfer. "He comes from an absolutely great family and gets a ton of support from his home club," said coach MacDonald. "So that goes a long way in his development." Meanwhile, the Forest Heights Community School grad is planning to attend Missouri's Southwest Baptist University on an athletic scholarship this fall. "That's a huge opportunity because at that school he's going to he's going to play right away," said MacDoanld. "And with the way his game is going, getting higher competition at that level is only going to increase his chances of furthering his career."